He can’t stop grinning because the awkward load is a huge trophy, almost as big as he is. This homeless third-grader has just won his category at the New York state chess championship. So we should all grin along with Tanitoluwa Adewumi, the newly crowned chess champion for kindergarten through third grade. He went undefeated at the state tournament last weekend, outwitting children from elite private schools with private chess tutor. Tani, as he’s known, carrying his chess trophy home from school, accompanied by his mother and brother. 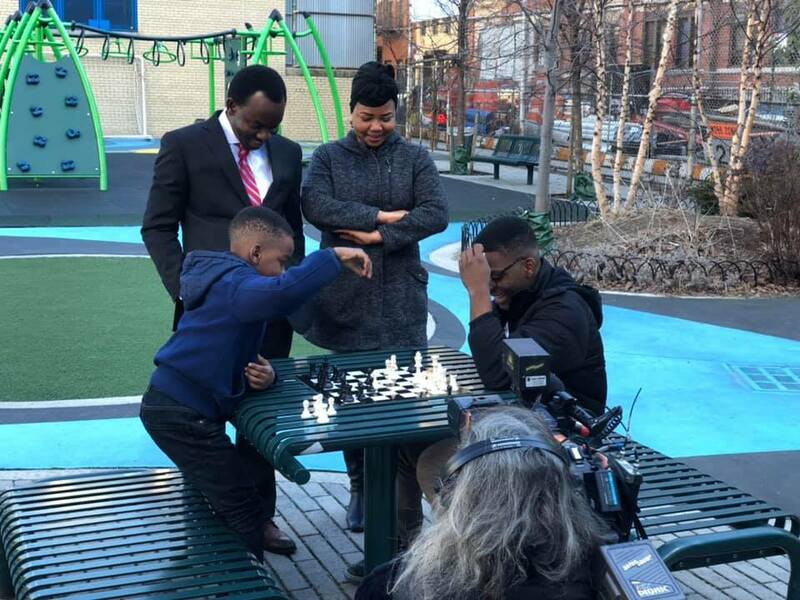 “He is interested in the chess program, which he will like to be participating in,” Oluwatoyin, who is working hard to master American English, emailed the club. She explained that she could not pay the fees for the program because the family was living in a shelter. Tani’s mom can’t play chess, but takes him every Saturday to a three-hour free practice session in Harlem, and she attends his tournaments. His dad lets Tani use his laptop each evening to practice. And although religion is extremely important to the family, the parents let Tani miss church when necessary to attend a tournament. world chess champion vs best female chess player! !